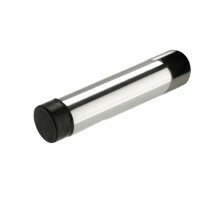 These entrance door knobs are made from stainless steel and have a contemporary satin finish which provides a high quality finishing touch for your doors. 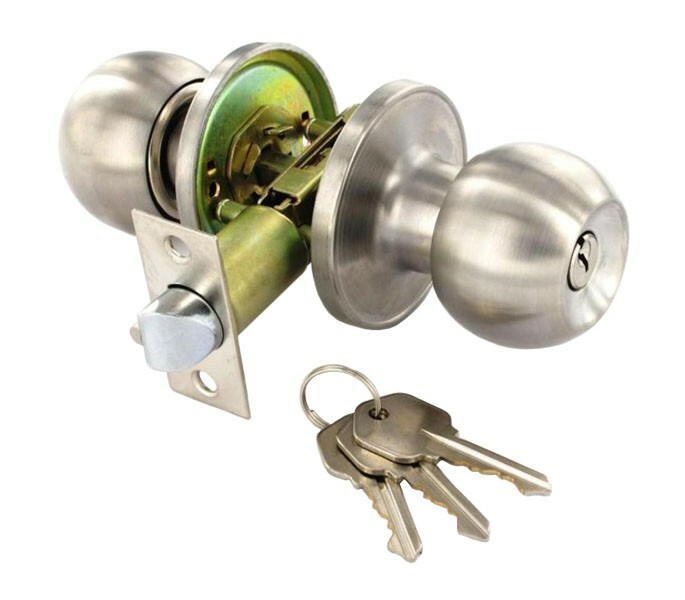 The entrance door knob lock set incorporates a key lock for the outside of the door and a privacy thumb turn for the inside, facilitating the ability to lock the door from both inside and out. 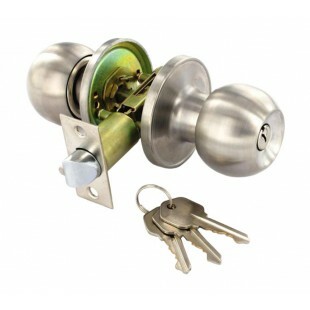 Three keys are supplied for the key lock. 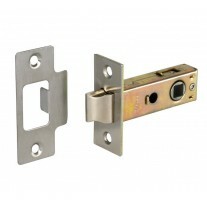 The entrance door knobs are supplied with an adjustable latch which offers a backset measurement between 60mm and 70mm. 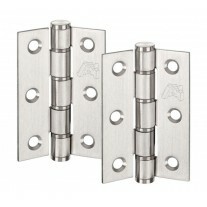 The knobs are secured using bolt through fixings which are included in the set. The rose has a diameter of 65mm and the diameter of the knob is 54mm with an overall projection of 62mm.